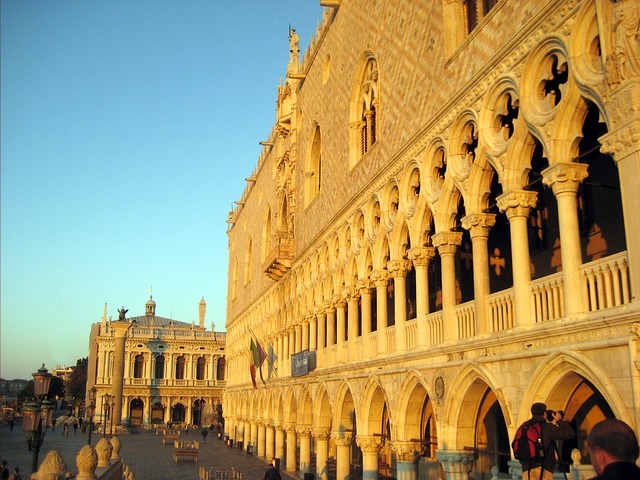 One of the most visited tourist attractions in Venice is the Palazzo Ducale, or the Doge’s Palace. Not only does it house artworks by the top artists of the era; the building itself is a work of art. It also recalls a time when Venice was an independent city-state, ruled by a Doge, an official elected by the Venetian aristocracy. And until today, the glory of that era lives on in this structure. 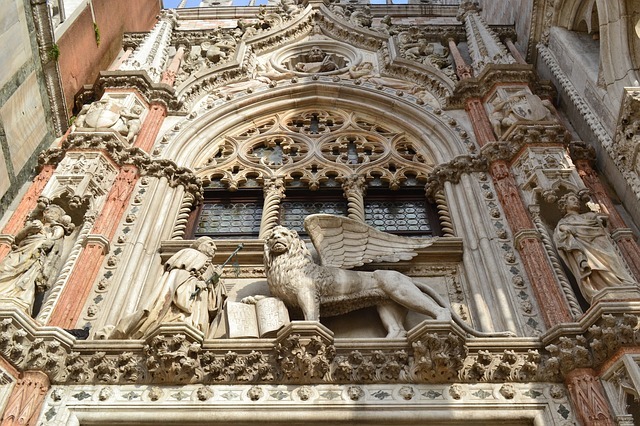 Learn more about the wonders of the Doge’s Palace in this travel guide. The first incarnation of the Palazzo Ducale was built in the year 810 by the Doge Angelo Partecipazio. Yet this one was destroyed by a fire and was only rebuilt in the 1100s under the rule of Doge Sebastiano Ziani. This rebuilding entailed the addition of various buildings to serve as public offices, courtrooms, prisons, and other facilities. That would be the story of the Doge’s Palace for the next few centuries, as various fires would damage it again. With every fire comes an opportunity to rebuild and expand the Palazzo, with the last blaze happening in 1577. The 1600s then saw the addition of the New Prisons and the Bridge of Sighs. However, the role of the building changed with the fall of the Venetian Republic. After being under the French and the Austrians, the city eventually became part of the unified Italy in 1866. During this time, the building was occupied by government agencies and cultural institutions. Eventually, by the end of the 19th century, the structure showed signs of decay. This convinced the Italian Government to move its offices out of the building. Only the State Office for the Protection of Historical Monuments remained (now the Superintendence of the Environmental and Architectural Heritage of Venice and its Lagoon). With the building now vacated, the government devoted funds for its extensive restoration. 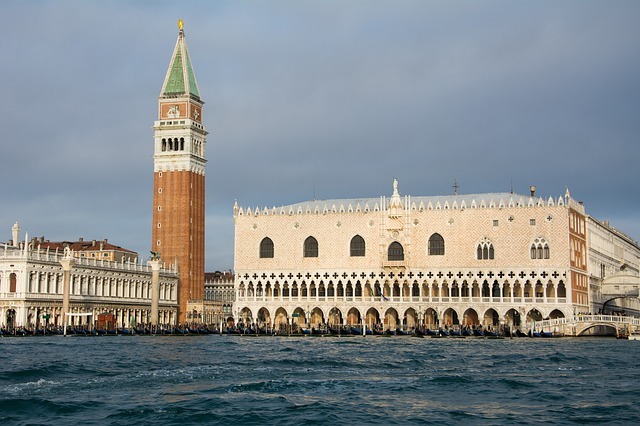 Finally, in 1923, the Venetian City Council was tasked to operate it as a public museum. 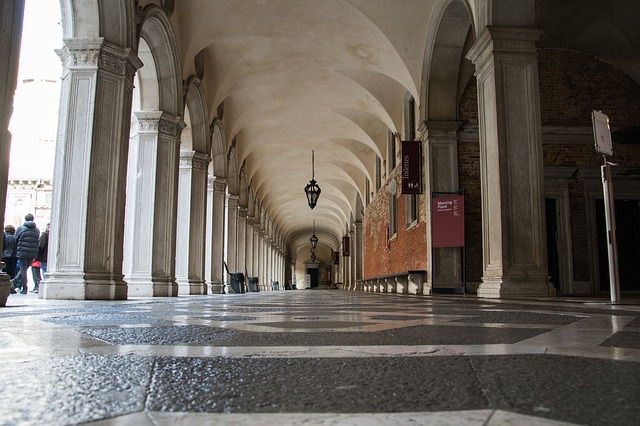 Inside and out, the Doge’s Palace is a sight to behold. Here’s an overview of its different sections. 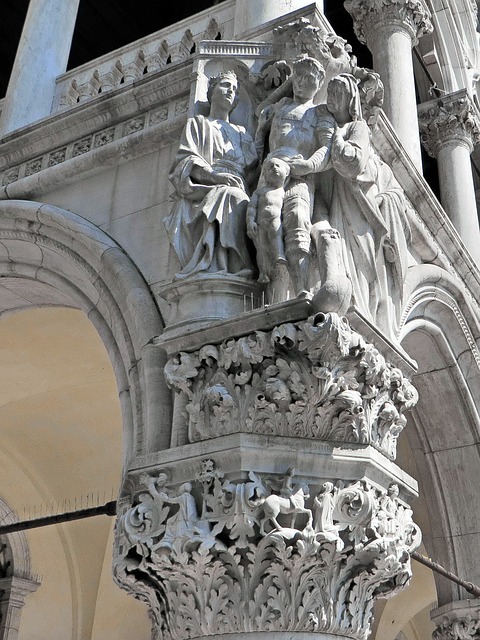 The exteriors of the Palazzo Ducale are one of the finest examples of Gothic architecture in the world. These start from the arcade statues such as the Drunkenness of Noah, found on the south façade’s corner, to the open arcade on the ground floor. They were all designed by Filippo Calendario, the palace’s chief architect. Of course, the highlight of the palace’s exteriors is the Porta della Carta, the “Paper Gate,” built in 1438. This entrance gate between the Palazzo and St. Mark’s Basilica was designed by architect Bartolomeo Buon, who also created the winged lion—Venice’s symbol. But why the name? Legend has it that this gate got its name from the scribes who used to set up shop in the area. 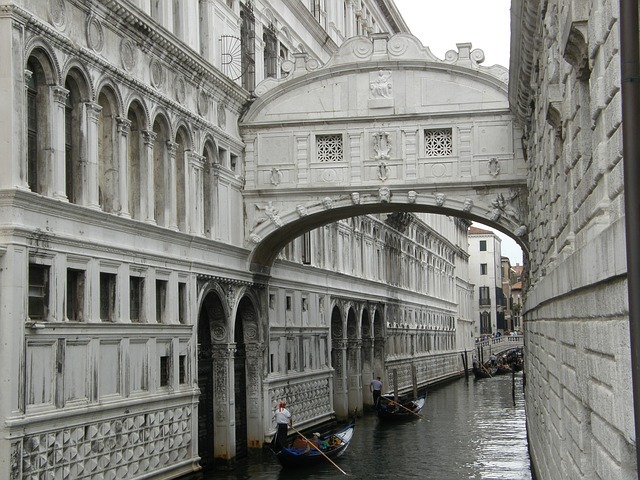 Past the Porta della Carta is the Foscari Arch, another must-see in the palace. This triumphal arch is decorated with Gothic spires and stunning statues by sculptor Antonio Rizzo, who also designed the palace’s courtyard. As the palace of the sovereign and the seat of the then-Republic of Venice, it is not surprising that the Palazzo Ducale was meant to impress. Every inch of every room is filled with beautiful carvings and sculptures, with walls and ceilings adorned with murals made by the top artists of the time. Some of the artists whose works are on display include Palma Giovane, Giambattista Tiepolo, Paolo Veronese, and Andrea Vicentino. And don’t miss the stucco ceilings painted by Jacopo Tintoretto, plus some paintings by Titian and his nephew, Marco Vecellio. 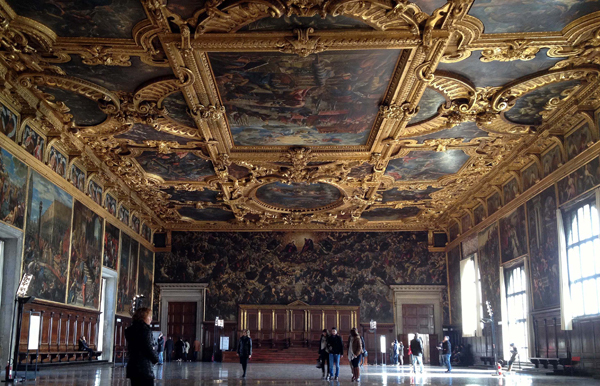 From parlors and staircases to ballrooms and state offices, the splendor of Venice’s glory days can be all seen here. While the Doge’s Palace is one of the most majestic heritage sites in Venice, some of the sculptures on display are actually replicas. To see the originals, visit the Museo dell’Opera. This houses the 14th and 15th century sculptures that were replaced by replicas during conservation efforts in the late 1800s to the early 1900s. The museum is also home to fragments of other statues and stonework that used to be part of the Palace’s façade. These two portions of the Doge’s Palace were later additions, with both being only added in the second half of the 1600s. The New Prisons, or Pozzi, were so called because it was the replacement for the Old Prisons (Piombi) that once occupied the main palace’s ground floor. Meanwhile, the Bridge of Sighs connects the New Prisons to the older structure. It was called as such because of the sighs of prisoners as they were led from the courtroom to their cells. Various tours are available at the Doge’s Palace. One such example is The Secret Itineraries tour, which covers some rooms and chambers outside the regular areas of the palace. This includes the Office of the Great Chancellor, which oversaw the State Archives; and the Chamber of the Secret Chancellery, where the Venetian version of the Secret Service held meetings centuries ago. 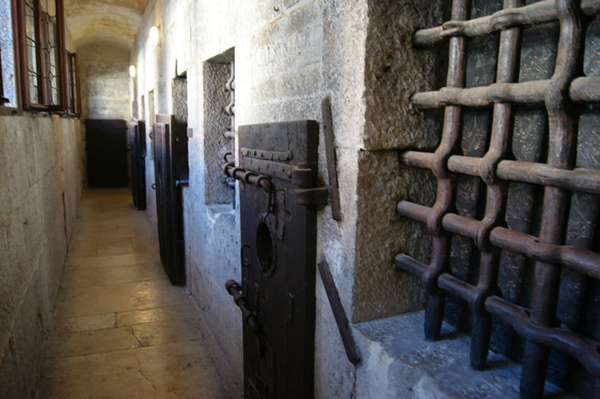 The Old Prisons and the Inquisitor’s Chamber is also included in this tour’s itinerary. The Secret Itineraries tour takes about 1 hour and 15 minutes long. Schedules for the English version of the tour are at 9:55 am, 10:45 am, and 11:35 am. Full price for this tour is EUR 20 and booking in advance is required. Meanwhile, there are also tours for families and children. These include “The Palace with a Tale to Tell,” a two-hour interactive tour with games and storytelling activities. It is available in various languages, including English, French, German, Spanish, and Russian. Last but not the least are the workshops, which aim to teach crafts alongside Venetian history. One such workshop is the “A Book in Stone” class. Here, participants get to reconstruct one of the Palace’s major monuments in a plaster, which they can take home as a souvenir. The workshop takes 2 hours and 30 minutes to complete, available in English. The Palazzo Ducale is open from 8:30 am to 7 pm from March 26 to October 31, and from 8:30 am to 5:30 pm from November 1 to March 25. It is closed on December 25 and January 1. Discounts are available for children 6 to 14 years old, students from 15 to 25 years old, and senior citizens 65 years old and above. Children aged 5 and below can get in free of charge. You can also get discounts with a group booking—1 free ticket for every 15 guests, subject to prior notice. Discounted tickets are also available for families, defined as two adults and one child ages 6 to 14 years old. It is also possible to schedule a private group tour of the Palazzo after closing hours. However, a minimum of 15 travelers is required to book this privilege. To book this private tour, send a special request letter to the administration office at least 5 working days before your intended visit to check availability. Full ticket cost for this special tour is EUR 55 per person. Audio guides are available at the entrance. 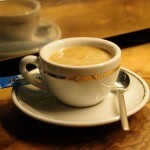 Fees are EUR 5 for one person and EUR 8 for two persons. Groups of 10 are required to get audio equipment at the cost of EUR 1 per person. Those who miss the regularly scheduled Secret Itineraries Tour can book one after 1 pm. 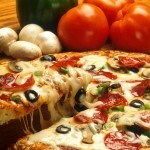 This only if they purchase at least 15 tickets and pay an additional EUR 31 per group. However, this service is unavailable from July 1 to August 31. 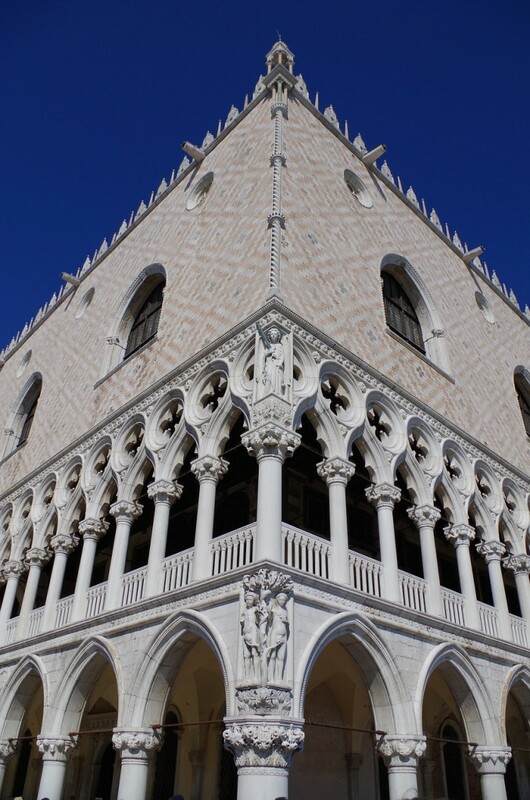 While the regular areas of the Doge’s Palace are wheelchair-accessible, some portions covered by the Secret Itineraries tour are only accessible via steep and narrow stairways. Hence, those are pregnant, with mobility problems, claustrophobia, vertigo, and cardio-respiratory ailments are discouraged from joining this tour. Children under the age of 6 are also not allowed to join the Secret Itineraries tour.